Delta Bolt is a nationwide fastener house, stocking a large inventory of both standard and special manufactured fasteners. Whether you need standard industrial fasteners, or exotic alloy bolts, our facility saves you time and money with same-day shipping. Our company was established September 1, 1974. Since then, we have earned a reputation within the fastener industry. 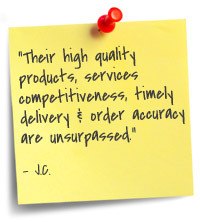 That reputation means that your order will be met with integrity, quality products, on-schedule shipping, and expert fastener knowledge. Our experienced sales team has over 174 years of combined experience, which means your product orders will be handled with the highest level of professionalism possible. Visit our Product Line to view a list of fasteners and other items that we carry. 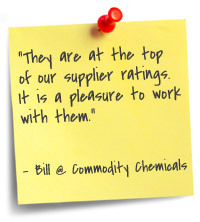 To read comments from existing clients about the quality of our products and customer service, please visit the testimonials page. To learn more about our products, or to place your order, please call (225) 272-1703 today, or complete our easy quick quote form. In addition to our standard fasteners, Delta Bolt specializes in exotic alloy fasteners to meet your needs. Exotic materials include Inconel, Hastelloy, silicon bronze, Monel, Duplex 2205, Nickel, and countless others. Call 225-272-1703 to learn more about these products. Our 24,000 square foot fastener complex is home to a complete line of industrial fasteners to meet your needs. We have over 17,000 line items in stock, and also carry products such as domestic studs, bolts and nuts. 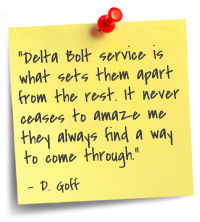 Delta Bolt specializes in standard and special fasteners. Standards include B7, B7M, L7, B16, B8, B8M, GR 2,5,8, A325. Our exotic material bolts and nuts range from Inconel and Hastelloy, to Monel and Nickel. We are able to manufacture products to your required specifications. We have capabilities of cutting with our three saws, and our chamfering & stamping machines. All studs manufactured at Delta Bolt facility are stamped with a traceability code which is registered with US Government for your protection of full traceability. We use a state-of-the-art software program to cross reference your parts, computer label them, and trace lot shipments. 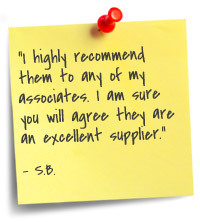 This allows us to get your order to you quickly, helping you to save valuable time and money. And because were are involved in the TQM Program (Total Quality Management), we offer you consistently high quality products as required by Public Law 101-592 (The Fastener Quality Act). Our shipping department checks every order for accuracy and other prerequisites such as: Mill Test Reports, Certificate of Compliances, Coating Compliances, or any other documentation that you may require. 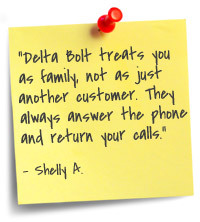 Delta Bolt provides fastener solutions to the OEM, MRO industry. Some of the industries we provide fastener solutions to are: Petrochemical Industries, Refineries, Marine, Off-Shore Platforms, Equipment Manufacturers, Sugar Mills, Paper Mills, Waterworks & Utilities.